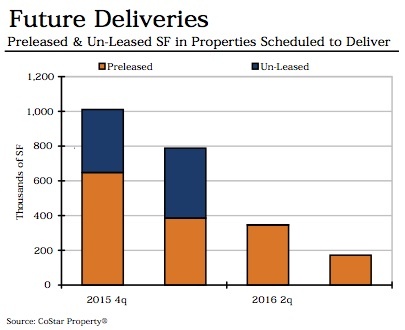 As the chart above shows, there is not a great deal of new construction retail space scheduled to be delivered in the next year - and much of what is, has already been committed to tenants. 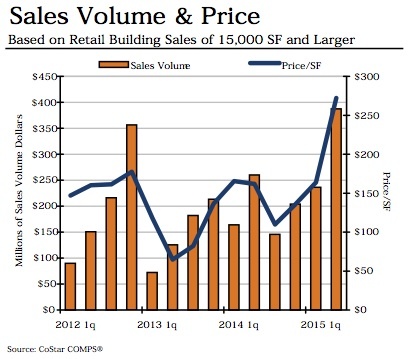 Sale prices have trended generally up. The chart below is a little deceiving in the sense that it covers so many different areas. However, I wanted to share it because it shows how strong 2015 started for Boston retail (data for the 2nd half of 2015 will be out in the coming weeks). Contact Eric Shabshelowitz, our Vice President of Commercial Real Estate, if you have any questions about or need help with Boston retail space.